Qantas to Resume A380 Flights – Should You Avoid those Flights? No doubt the engine explosion on Qantas Flight QF32 earlier this month caused many passengers to consider whether to fly on Qantas’, or other airline’s, A380 services. The Qantas decision to ground their fleet and undertake a rigorous engineering investigation to determine the cause before returning them to service is exactly what I would expect from one of the world’s safest airlines. This is a very rigorous inspection regime, and will help ensure the dangerous condition does not eventuate on other aircraft but does it make you feel comfortable flying on the A380? As an aviation professional, I am satisfied that flying on an A380 poses no greater threat to my safety than any other aircraft. Why? 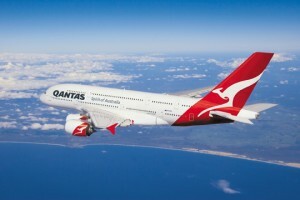 Firstly, Qantas and other A380 operators are experienced and reliable, I trust them. Second, the various regulatory authorities like EASA maintain strong control of safety standards and an unsafe aircraft would be grounded by them. Finally, Airbus and Rolls Royce make quality products and are rightly proud of their engineering prowess, and covet their safety record. Again I trust them. So I am looking forward to flying direct to London on a Qantas A380 next year for our Great Britain and Ireland adventure.